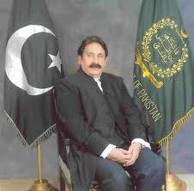 ISLAMABAD: The Chief Justice of Pakistan Iftikhar Muhammad Chaudhry said during the hearing of 18th Amendment case that laws which clash with the constitution carry no value at all. “The constitution represents 180 million people of Pakistan…any legislation in conflict with the constitution cannot be a law,” Chief Justice Iftikhar said. Judiciary is neither a part of the government, nor is it the government’s subordinate, he said. ‘It had been clarified in the NRO case that anything that contradicts Constitution, is not a law and wherever an anti-Constitution situation arises, justification of its judicial review comes into existence simultaneously,’ the CJ Chaudhry remarked.